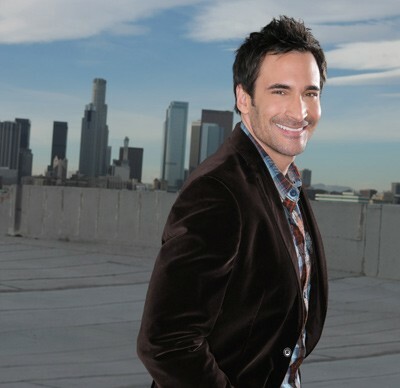 One of the most sought after on-camera lifestyle & fashion experts in the television industry today with experience on-air of over 15 years, and Author of the successful fashion “Bible”, Lawrence Zarian’s 10 Commandments for a Perfect Wardrobe, which was released with Birdstreet Books in February 2014. With the support and endorsements of top industry professionals in the TV and fashion world, his book not only breaks down how to maximize ones wardrobe and style potential but it also emphasizes the importance that true style originates with a happy and healthy mind, attitude and lifestyle. As a consistent on-air fashion and lifestyle host for Live With Kelly & Michael for almost 15 years, in addition to Steve Harvey, Rachael Ray, The Doctors and Entertainment Tonight, Zarian not only knows how to spot a current fashion trend, but how to interpret Hollywood's most expensive looks into affordable styles for everyone. With energy and sharp insight, Zarian is at home in every situation; from the award season red carpet, to hosting his own show or even making over a family of five from Ohio. Other credits include: ABC’s Live at The Academy Awards, Inside Edition, The Early Show, EXTRA, KTLA, GDLA, Dr. Phil, and hosting his own shows, Red Carpet Fashion Wrap and The Fashion Team, on the TV Guide Network. "I am so blessed to do the job that I love doing!"